The KS212C subwoofer represents the world's first-in-class single-box powered cardioid subwoofer solution for highly portable entertainment and installation applications. 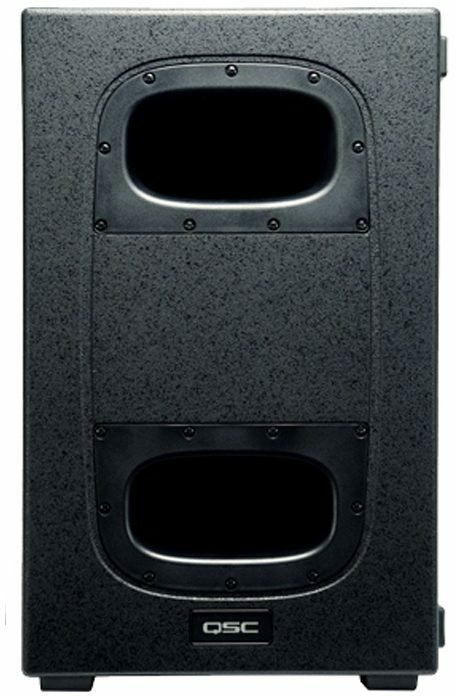 A breakthrough in innovation and design, the 3,600 Watt KS212C subwoofer uniquely provides all the benefits of cardioid deployment in a single, compact enclosure. 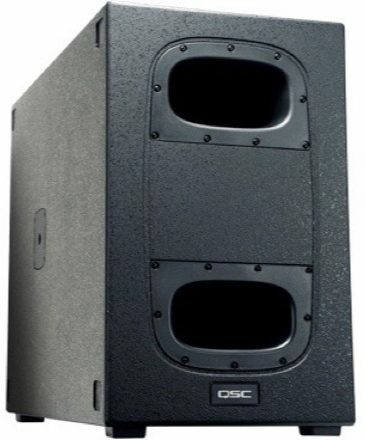 "Keeping bass in its place" for mobile entertainers, AV production and rental professionals, as well as modestly-sized performance venues, the KS212C subwoofer is unparalleled in its ability to manage low frequencies on the stage, or any application where undesirable low frequency energy needs to be minimized. Dimensions (HWD) inches: 24.5" x 15.5" x 33.5"
Overall: I read the review of the previous person who posted first and I was skeptical of buying these. Needless to say I did anyway as I’ve bought QSC amps and speakers for about 20 years and I’ve never once had any amp fail or a clip light come on during a performance. I used a Pioneer DDJ-SZ set the volume at 50% and the speakers I always set at 50% gain or the 12o’clock position. I was kind of surprised at the sound output being that the cabinet has two twelve inch woofers. The bass is tight and no rattles from the cabinet or casters. It was so loud (2 stacked for bass coupling) that you could feel your heart race and constant pressure out front. The bass notes aren’t as deep as the KW181 but you won’t be disappointed for sure. I did NOT experience the limiter light coming on or any distortion period. I played a few hip hop tracks, R&B slow, Pop/Top 40 and dance tracks, and I was very impressed for the size of these speakers. 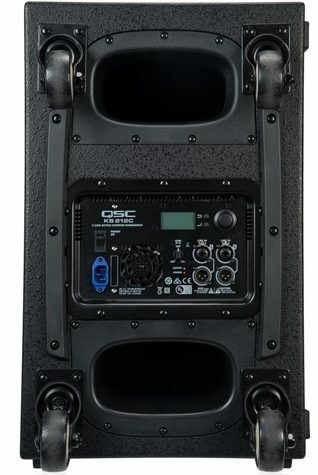 I wouldn’t compare them to 18” subs because they are not comparable in my opinion but QSC did a great job on these subs. I wish they were tuned at 36HZ like the KW181 but I’m sure they didn’t so they could get the max out of them performance wise. 22 of 25 people (88%) found this review helpful. Did you? Overall: First of all, I did not want to bash this subwoofer. I bought it because I wanted to do small to medium gigs with it. 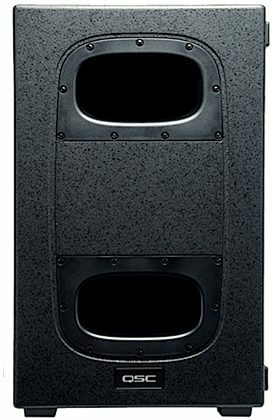 I still have my Yorkville LS801P for bigger parties but let me tell you how it went on my first gig with it. As the guests were arriving, I had the sub on 1 O'clock and it was sounding phenomenal. Now when people started dancing, I immediately turn it down to 12 O'clock and kept on getting the limiter light on so I changed it to 11 O'clock but the bass wasn't too loud. I had it setup at 80 Hz, next gig I will do it on 100 Hz so hopefully it works better. Again, I knew it was not going to sound like my Yorkville but still I was waiting for it to be louder. I will change some settings and we will see, hopefully it gets better because of the investment. 15 of 18 people (83.33%) found this review helpful. Did you?